Grass carp have been illegal to sell in Michigan for decades. A man was charged with 12 felony counts for illegally selling live Asian carp in Michigan. And he wasn't too inconspicuous - "grass carp" was apparently written on the side of his truck. 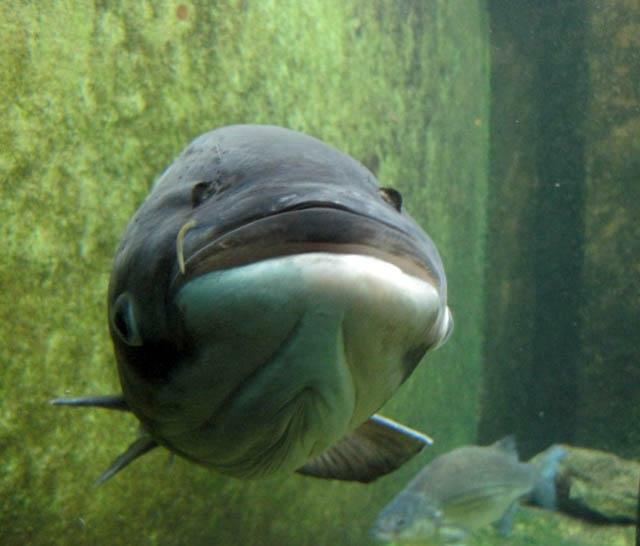 ...the Attorney General's Criminal Division has charged an Arkansas man with 12 felony counts of possessing and selling live Asian carp in violation of state law protecting against the spread of invasive species. The charges follow a joint investigation by the DNR's Special Investigation Unit and Commercial Fish Enforcement Unit. 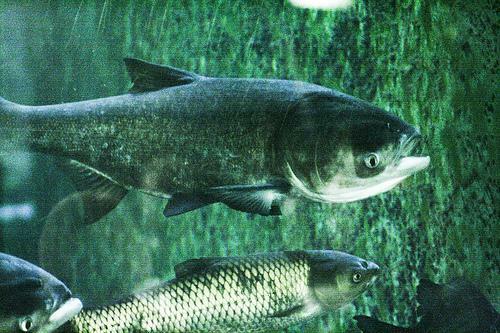 Grass carp are a type of Asian carp. Grass carp have been illegal to sell in Michigan for decades because the invasive species is a voracious plant eater. 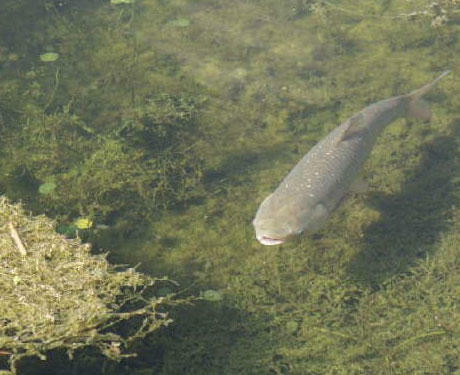 Officials say grass carp "could potentially remove all vegetation from a body of water at the expense of native species." The fish were imported in the 1960's and have been used to control weeds in ponds. State officials say David Shane Costner, 42, of Harrisburg, Ark., had 110 grass carp housed in a semi-truck. Costner was working for Farley's Arkansas Pondstockers. Costner allegedly traveled around the state, conducting sales of the illegal carp from store parking lots. The trucks also contained live fish species permitted under state law, including channel catfish, largemouth bass and fathead minnows. On May 16, 2012, Costner allegedly sold two of the live grass carp to undercover DNR investigators in Midland, Mich.
David Eggert of MLive reports Costner's truck had the words "grass carp" written on the side. The wildlife agency received a tip that Costner had been selling illegal carp at several locations in southern Michigan and the west side of the state, Golder said... Costner could not be reached for comment. A secretary who answered the phone at Farley's said he no longer works there. Grass carp are just one of four species of Asian Carp officials are worried about. 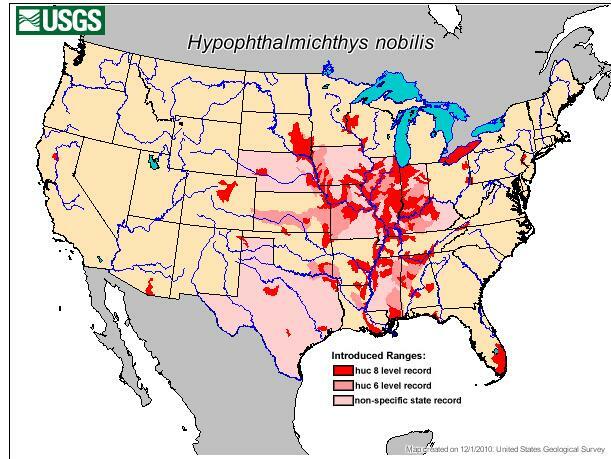 And Grass carp appear to be the least of their worries when it comes to threats to the Great Lakes. There are three species of Asian carp that are considered invasive and a threat to the Great Lakes: the bighead, silver and black carp. Silver and bighead carp are filter-feeding fish and consume plant and animal plankton. 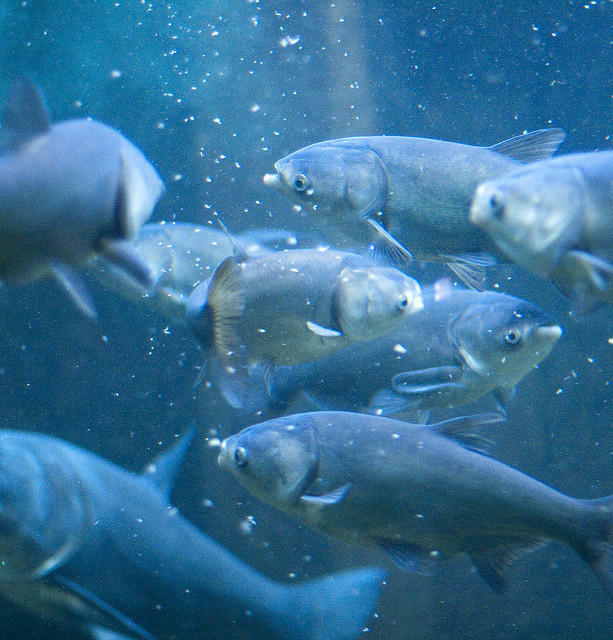 Asian carp can grow to large sizes: some as large as 110 pounds, though the average size is around 30-40 pounds. 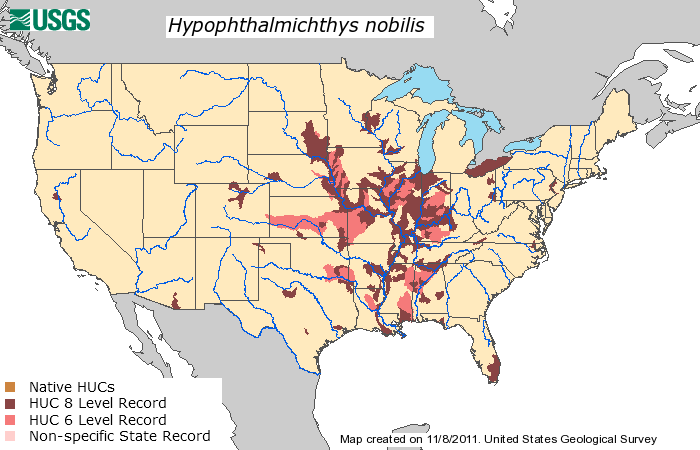 Bighead and silver carp are voracious eaters, capable of eating 5-20 percent of their body weight each day. They consume plankton—algae and other microscopic organisms—stripping the food web of the key source of food for small and big fish. Black carp differ in that they consume primarily mollusks, and threaten native mussel and sturgeon populations. They can grow to seven feet in length and over 100 pounds. He says the carp need just the right temperature... a river that’s flowing fast enough and a stretch of river long enough to reproduce. A coalition of U.S. and Canadian mayors says the solution is to physically separate the Great Lakes basin from the Mississippi River system forever. 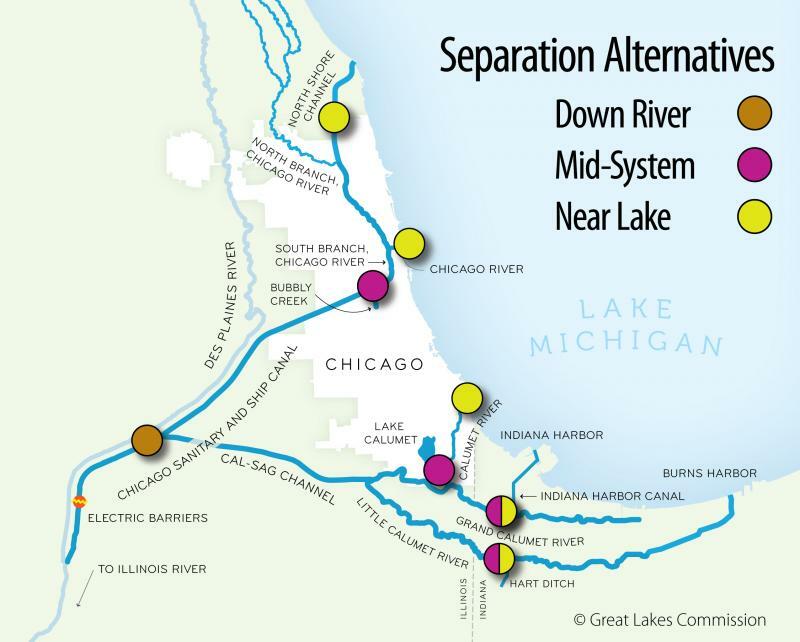 In other words... they want to completely stop the flow of water between the two systems to permanently block carp from swimming up into Lake Michigan... and stop any kind of invaders from moving between the basins. But the manmade system of canals in the Chicago area has been in place for a century (it was originally put in place to reverse the flow of the Chicago River away from Lake Michigan because untreated sewage was being dumped in the lake and making people sick - and even killing them). Eder says there are a lot of people who depend on the waterway system as it is now. Marc Gaden of the Great Lakes Fishery Commission says "as far as I know, no one thinks there are any Asian Carp in Lake Erie." He says Lake Erie is colored red in the USGS map above because two Bighead carp were found in commercial fishman's nets several years ago. They colored the entire Lake red based on these two incidents. The federal government says it will speed up a decision on how to protect the Great Lakes from invasive species in the Mississippi River basin. The Obama administration announced the new timetable Tuesday. Last month, we spoke with Michigan Senator Debbie Stabenow (D) about plans about a permanent solution for keeping Asian Carp out of the Great Lakes. “The Army Corps of Engineers is working on a plan to give us specific recommendations on how to separate the waters… The problem is they say they won’t have this done until 2015. And, so, what we’re trying to do is push them to get this done much quicker,” Stabenow explains. Now, we hear about legislation introduced in Congress by Senator Stabenow and U.S. Rep. Dave Camp to get the U.S. Army Corps of Engineers to speed up their analysis. 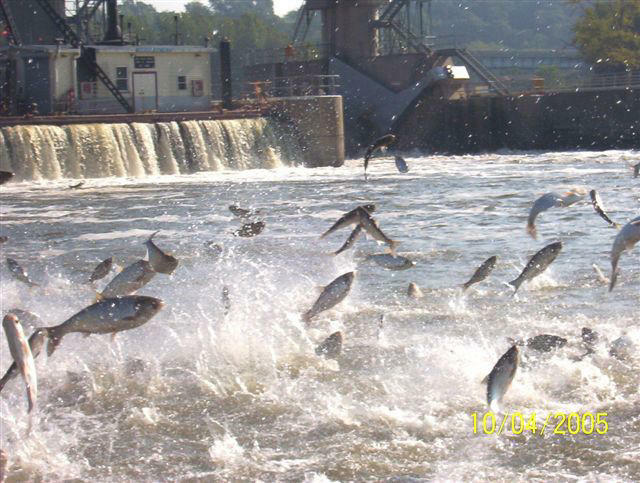 Legislation introduced in Congress would force the U.S. Army Corps of Engineers to speed up a study of how to prevent Asian carp and other invasive species from reaching the Great Lakes. This post has been updated with more details and comments from AG's office. Shipping locks in Chicago-area waterways will not be closed while a lawsuit over how to keep Asian Carp out of the Great Lakes is pending. The U.S. Supreme Court ruled against the injunction Monday. TRAVERSE CITY, Mich. (AP) - The Obama administration plans to spend $51.5 million this year in its continuing battle to protect the Great Lakes from destructive Asian carp. Federal officials announced their carp strategy for 2012 on Thursday. It includes first-time water sampling to determine whether bighead and silver carp have reached vulnerable sections of Lakes Michigan, Erie and Huron. 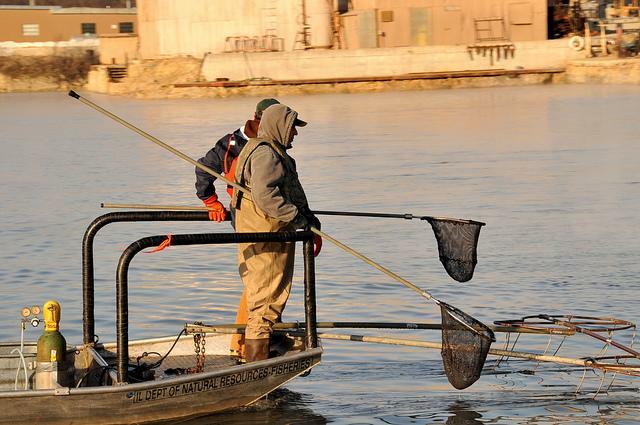 Other planned measures include stepped-up netting and trapping of Asian carp in the Illinois River. Also high-tech monitoring to determine if an electric barrier near Chicago is adequately blocking the carp's path to Lake Michigan. Authorities also plan field tests of an acoustic underwater gun that could scare carp away and pheromones to lure them to places where they could be captured.